It's on sale for startlingly cheap now that a slightly upgraded successor is here. If you’re shopping for a gaming mouse, you’ve got a borderline overwhelming array of options these days—as PC gaming becomes more and more popular, these mechanical rodents have been proliferating almost as prolifically as their furry physical namesakes. 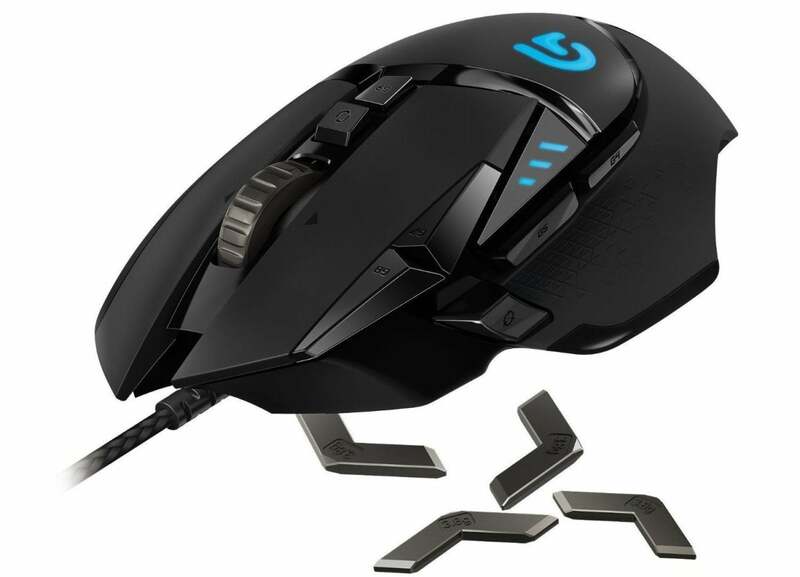 But despite the surge of contenders, a single mouse has laid claim to our best gaming mouse title for over four years running: the Logitech G502 Proteus Core and its various iterations. And now, you can get the RGB LED-laden Logitech G502 Proteus Spectrum for $35 at Amazon and NeweggRemove non-product link instead of its $85 sticker price. That nearly 60 percent discount drops the champ into territory otherwise occupied by compromised budget options. The G502 excels because of its extreme customizability, which helps you configure the mouse until it feels just right in your hand. Both fingertips and palm grips feel comfortable with its shape, and you can crack the mouse open to put in (or take out) weights to achieve the optimal amount of heft. You can even offset the weights to one side or the other if you prefer. Eight additional configurable buttons complement the standard left click, right click, and middle (scroll wheel) options. Meanwhile, a single button press lets you adjust the scroll wheel’s behavior from smooth-scrolling to stepped-scrolling. The Logitech G502 Proteus Spectrum wants to be perfect for you. Performance feels just as impressive. You can configure the mouse to run at a mere 200 DPI all the way to 12,000 DPI, and also use Logitech’s gaming software to fine-tune the mouse’s RGB LEDs using 16.8 million color options. So why is such a superb mouse going for so cheap? Simple—a new model dubbed the G502 Hero recently launched with a fresh sensor. It’s selling for the same $85 price that this Proteus Core used to. But while the Hero is the best G502 variant yet, it’s still just a slight upgrade over the Proteus Core. If you’ve been hunting for a new gaming mouse—and maybe even if you haven’t—rush out to grab the Logitech G502 Proteus Core while it’s still $35 at Amazon and NeweggRemove non-product link. Deals this steep on products this good don’t pop up very often.